This fantastic role is just right for those who are ready to step up to a new career challenge and play a key role in one of Victoria’s leading disability agencies. As our new Fundraising Manager you will lead the execution of Amaze’s fundraising strategy, with a strong focus on campaigns and driving new revenue streams. The Fundraising Manager will oversee the growth of Amaze’s fundraising revenue including the development and management of corporate, major donor and bequest programs, building community and individual giving and building trust and foundation income for specific project and programs. This role will be part of Amaze’s energetic Capacity Building team, which consists of the Community Partnerships and Capacity Building Manager, Capacity Building and Business Development Team Lead, Capacity Building Coordinator and Early Days Project Officer. If you’re looking for a role that has a great mix of strategy with hands on work, with no two days being the same, where you can put your bright ideas into action, this is definitely for you. Strong organisational skills with a demonstrated ability in setting priorities and meeting deadlines. Amaze is the peak body for autism in Victoria, representing more than 55,000 autistic Victorians and their families. 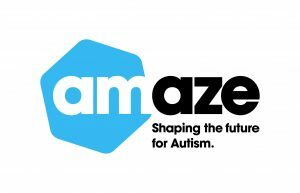 For 50 years, Amaze has provided information, advice and support for autistic people, their families and supporters, autism researchers, health professionals and services in Victoria. We build understanding, engagement and acceptance of autism in the wider community. We develop community capacity by working with others to help them value and support autistic people and their families.